The first thing that impressed be about the brand is that they use only carcinogen-free ingredients (free from formaldehyde, formaldehyde resin, DBP, toluene, camphor. ethyl tosylamide, xylene and TPHP). This is something more nail polish brands should aspire to as it really isn't necessary to use them to achieve long-lasting, hi-shine products, which is well documented by Butter London. When I go to the effort of painting my nails, I want it to last as long as possible so the key to a long-lasting manicure is a good base coat and top coat. This Patent Gel Base and Top Coat duo contains the perfect products to use either side of your nail polish. The base coat isn't too thick but isn't too thin either so it doesn't apply streakily, providing the perfect foundation for nail polish. The top coat provides a high-shine, long-lasting gel like finish - my manicure only begins to show signs of chipping after 6 days, which is pretty amazing. The QuickFix Moisturizing Cuticle Balm is the perfect size for handbags or on a desk because it's a slim 10ml tube. Inside is a balm that is packed with Vitamin E, Coconut and Avocado Oils, which is intensely moisturising and really convenient to use on the go as regular cuticle oils are messy to use unless you are having a pampering evening and don't need to use your hands for a while! This balm has been keeping my cuticles soft and easy to maintain over the past few weeks. Butter London have two ranges of nail polishes - Trend Nail Lacquers and Patent Shine 10X Nail Lacquers. The Trend Lacquers are very pigmented, however I do find that I need to apply two coats to achieve full opacity. 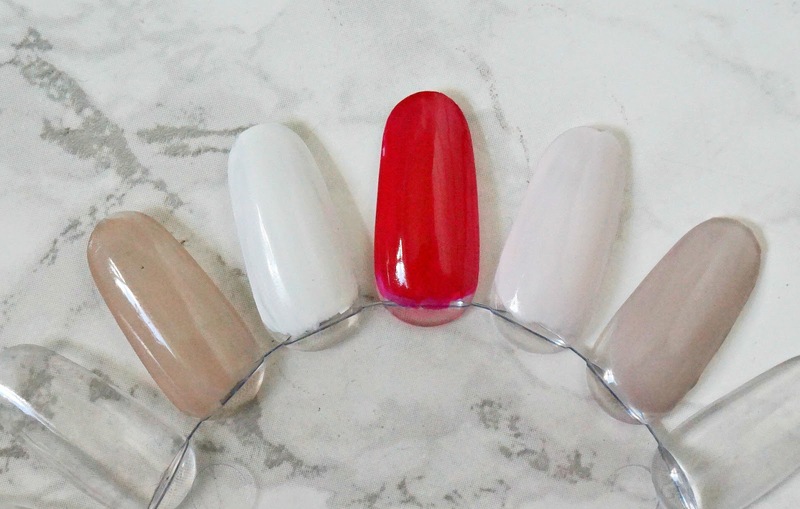 These polishes are quick-drying and have a glossy finish and although the brush is quite long and thin, it applies very evenly without any signs of streakiness. This range is available in 38 shades so there is something to suit all tastes. The Patent Shine 10X lacquers are so called because they are 10 in 1 products that last on the nails for 10 days. I can't quite vouch for 10 days but definitely 7 before starting to show signs of wear. This gel like formula is extremely pigmented, has a glossy finish, it feels strengthening on the nails and due to the short, curved brush, it is easy to apply for an even, streak-free finish. It is available in 30 shades and I am particularly loving the milky- pink shade called Twist & Twirl at the moment. Overall, I am hugely impressed by everything I've tried in the Butter London range and it has only made me excited to try some of their makeup as I'd imagine everything will be of the same, high standard. 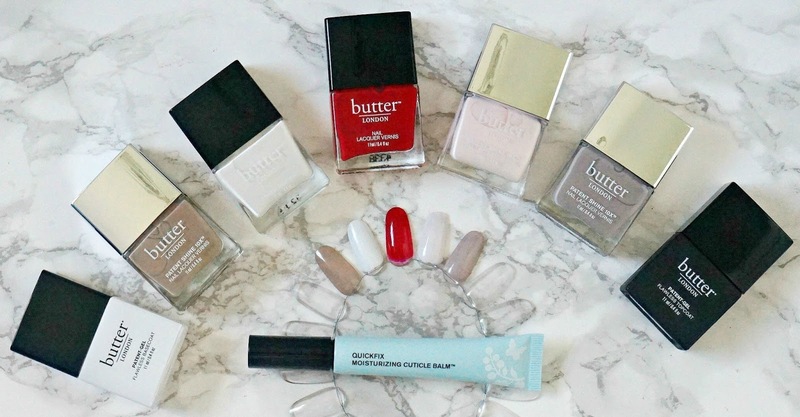 Have you tried any Butter London products? I would love to hear in the comments below! Butter London products are available to purchase on Feel Unique, Lookfantastic, Marks and Spencer, and selected Whole Foods stores. All products are bought by me, unless otherwise stated. Butter London kindly sent all of these products to me. Opinion is always my own.